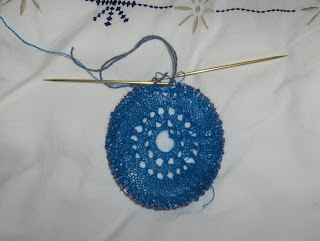 I really love lace yarns and lace patterns, but I am afraid that it is too thin for me. I enjoy when projects are going quick, opposite of lace projects when progress is very slow..
Hope youl'' find perfect combination! I saw her pattern (I think Jared is she not he - but not 100% sure) and is really piece of beauty!